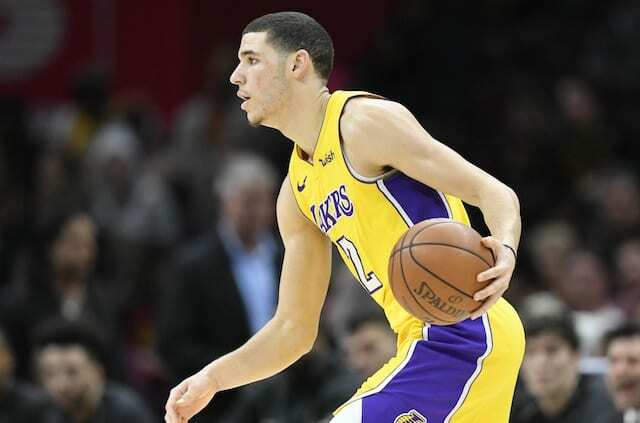 “Maybe is always a great word,” answered Los Angeles Lakers head coach Luke Walton at shootaround when asked if it was possible Lonzo Ball would return from an MCL sprain on Thursday. Initially diagnosed with a sprain that the team considered minor, Ball has not played since tweaking his knee in an overtime victory against the Dallas Mavericks on Jan. 13. Ball himself downplayed the notion he’d miss significant time. Two weeks later, the Lakers clarified that Ball had a sprain of his MCL, which impacts lateral movement. 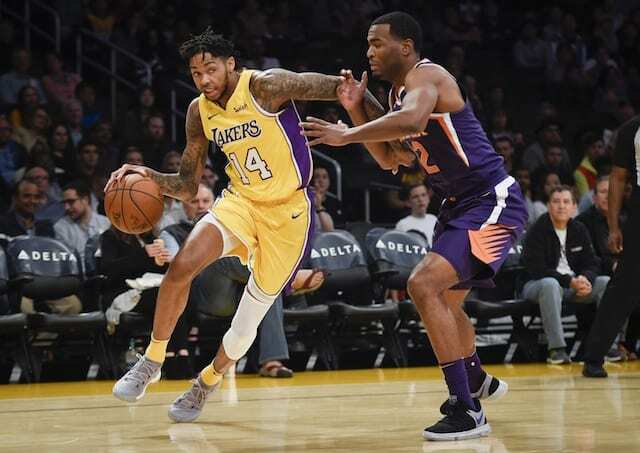 The rookie point guard slowly built up to resuming on-court activities but his knee did not respond favorably when the workload was increased during the Lakers’ road trip. That caused the team to scale down some, though it was not considered a setback. “He’s still day-to-day,” Walton reiterated. “He came in and got some good work in [Monday] with Miles (Simon). We’ll see how he feels again [Wednesday] morning, and we’ll just take it from there. Walton previously explained Ball needed to progress to full-speed, non-contact drills prior to practicing, which would then pave the way for his return. As of Tuesday, that’s yet to transpire. However, Walton did say that the rookie point guard “got a little more aggressive” with his workout. When asked if Ball was potentially holding himself back, Walton said it was a question better directed to the young point guard. Including when he missed time due to a left shoulder sprain, the Lakers lost their first eight games without Ball. Overall, they are now 6-10 in such contests.